Summary: How often do you feel like thanking a person/community/club/group for suggesting a book to you – not too often, right? For this one time, you would be compelled to be ‘grateful’ to the suggester all your life. My take: The first thing that arrests your attention is the cover of the book – the art, the design, the seal they have depicted seeming to contain some deliberately concealed code, the background which says, ‘may the joy be with you’; ‘you have the key’; ‘you’re holding the key in your hand’– all of it wants you to open the book up and unveil ‘the secret’. This book should interest both kinds of readers – the one who enjoys reading philosophy and, also, the one who considers it as mindless preaching. The TOC of the book looks enticing as it promises to take you through the secret to money, the secret to relationships, the secret to wealth, the secret to the world, the secret to you and the secret to life. 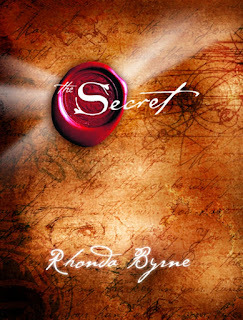 The author, Rhonda Byrne, has pretty much covered every sphere of influence which touches a person’s mind and life. This book brings together philosophies of 24 authors from all across the globe. These great teachings are in perfect sync with each other and with the overall concept of the book. In fact, all the teachers/preachers talk on the same lines and give instances from their respective experiences supporting the secrets. In the preface, the author talks about a tragic past and how she got rid of it after getting to know ‘the secret’. This book should not even come close to being a high-profile bible, for the teachings it gives to the reader do not sound out-of-world or unrelatable; they, in fact, sound like comprehensible solutions to everyday problems. The hero concepts, which are also the ‘secrets’ here, discussed in great depth in the book, love, gratitude and forgiveness are not something we had not ever heard of before. I am sure stories around these would have been told to every toddler out there trying to enter the world of grownups. It’s just we need philosophy books like these time and again to make us remember all that was forgotten. The book, actually, concludes with the famous lines – remember to remember – to let the readers know that the key to happiness was always there with them and that they should just remember to remember the secrets and not let their mind dance on the tunes life plays. This might not be the best philosophy you will ever read, but it definitely is a nice eye-opener to the ones who have never read any philosophy on life. Rhonda Byrne has already published three sequels to this book where she talks about the power, the magic and hero and I am sure you would be itched to get your hands on them as and when you'd be done with this. I am sure this genre of books serves great purpose to the readers – it sets their thinking and outlook right and gives them positivity-tinted glasses to wear on. For how long the readers can retain wearing them is often questionable, but, then, we see some other fine philosophy on religion and spirituality, health and wellbeing, self-improvement, success and personal transformation being released in the market to keep our vision right. Final word: This book would never make you feel as if it’s robbed you of your time and money by giving out senseless prophesying in the name of ‘the secret’. It has wonderful takeaways, which would definitely make you feel richer by the time you reach the last page of the book - definitely, a must read if you have been looking for fresh motivation to lead your lives better. Totally agree! This one was an eye-opener. Put That Damn Nail Paint On!